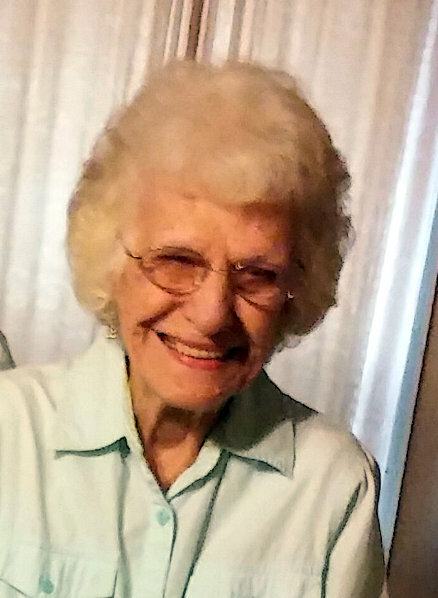 Funeral services for Alice Marlene Collins, 86, Koshkonong, Missouri, will be held at 10:00 a.m., Thursday, June 14, 2018 at the Langston Street Chapel of Robertson-Drago Funeral Home. Mrs. Collins passed away at 6:10 a.m., Thursday, June 7, 2018 at Ozarks Medical Center. She was born November 28, 1931, at Moko, Arkansas, to Rufus Javaux and Buena Neva Skaggs Javaux. On September 13, 1948, she was married at Salem, Arkansas, to Lee Otis Collins, who preceded her in death on January 11, 2004. Mrs. Collins was an outgoing and friendly person and enjoyed being outdoors, walking and spending time with her family. She is survived by twelve children, Dennis Collins, West Plains, Rufus Collins and wife, Debbie, West Plains, Missouri, David Collins and wife, Terri, Rover, Missouri, Neva Hegge, Corcoran, California, Mary Gomez and husband, Joe, Corcoran, California, Roy Collins and wife, Donna, Koshkonong, Missouri, Clifford Collins and wife, Vonda, West Plains, Missouri, Annie Michell and husband, Larry, Jackson, Georgia, Rose-Etta Collins and husband, Lonnie, Fort Leonard Wood, Missouri, Margaret Collins and husband, Christian, Springfield, Missouri, Billy Collins and wife, Brenda, Caulfield, Missouri and Beverly Neal, Viola, Arkansas; thirty-five grandchildren; a host of great-grandchildren; several great-great-grandchildren; three brothers, Leon Javaux and wife, Rosie, Hanford, California, Wayne Javaux and wife, Margaret, Armona, California and Norman Javaux and wife, Kay, Baghdad, Arizona; one sister, Mona Preston and husband, Duke, Hanford, California; and many nieces and nephews. Her parents, husband, one son, Glendon Ray Collins, one daughter, Donna Jean Collins, an infant son, three brothers, Bill, Jesse and Harold and two sisters, Agnes and Hope, preceded her in death. Visitation will be held from 6:00 until 8:00 p.m., Wednesday, at the Langston Street Chapel of Robertson-Drago Funeral Home. Burial will be in the Collins Cemetery. Memorial contributions may be made to Collins Cemetery and may be left at Robertson-Drago Funeral Home.